We’ve introduced you to our cozy garden apartment in San Francisco. Now, onto the neighborhood! 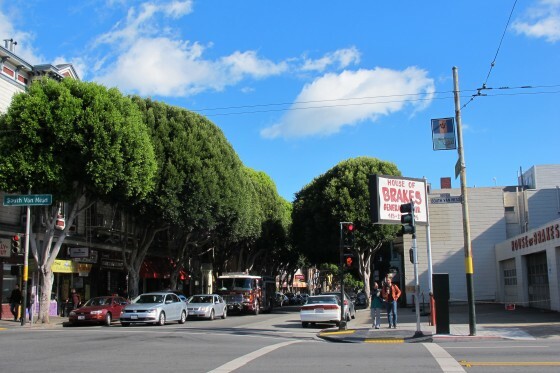 Because of its geographical location, The Mission is insulated from the fog and wind from the west, creating a microclimate that is on average 10 degrees warmer than the rest of the city. 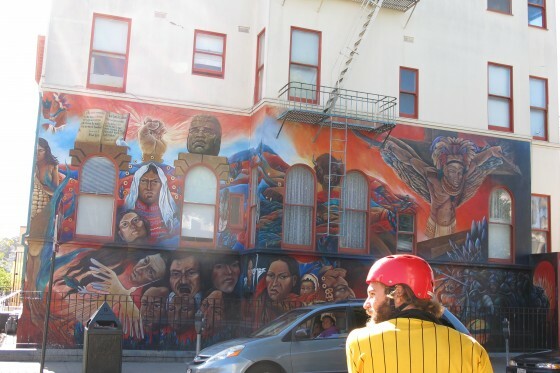 “It’s always sunny in the Mission,” the saying goes. 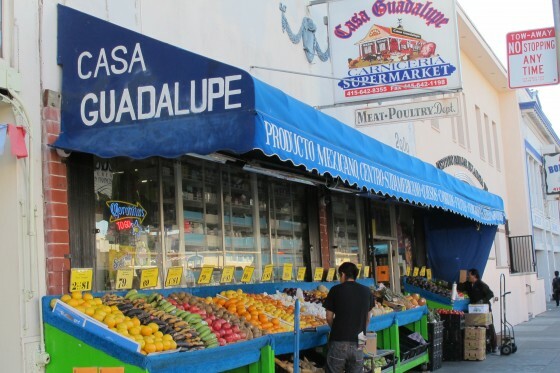 The Mission reminds me of how Williamsburg, Brooklyn (particularly the South Side) was back eight years ago when we lived there — an abundance of gritty Latin flavor, with amazing taquerias, groceries and gift shops everywhere. I bought a fresh lime yesterday on 24th Street that cost me 10 cents, and it was weird to slide a solitary dime toward the cashier. 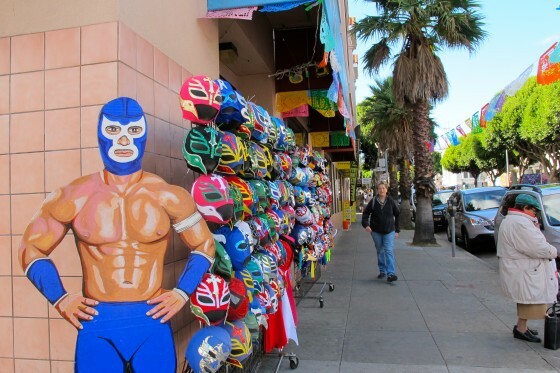 Down the block is a shop selling lucha libre (Mexican wrestling) masks, in every color. Just in case, you know. But there’s also unmistakable gentrification, much like Williamsburg back then, with boutiques and artisanal restaurants popping up everywhere. 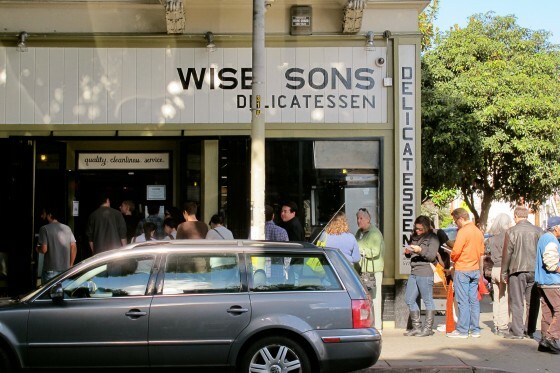 One block away sits Wise Sons Deli, and people line up around the corner to get into their lunch service. They offer a modern, fresh spin on traditionally Jewish breakfast and lunch items. 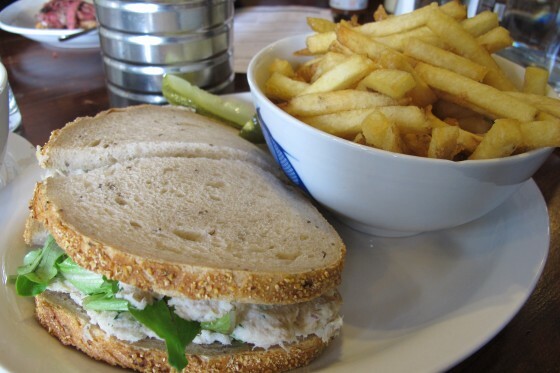 But my $9 smoked trout sandwich with fries was bland and dry; I’m certain that’s not the menu item making people wait in line! 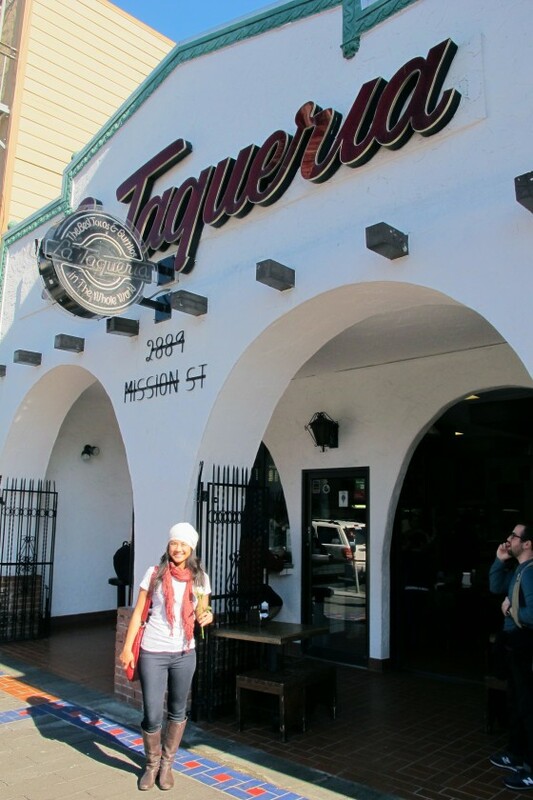 Another day, we stopped in for lunch at a neighborhood institution — La Taqueria on Mission Street. Great, fresh, simple food. After we ordered four tacos — 2 pollo and 2 carnitas — Mike started muttering his usual, “This is the best taco I’ve ever had.” I may never be in full agreement of his easy superlative flow, but I will admit that these tacos threw me for a loop. 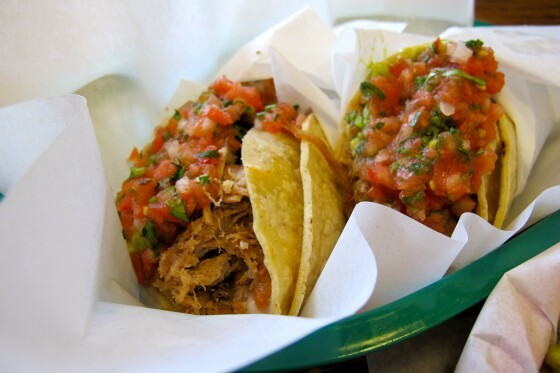 The meat was juicy but not sloppy and drippy; the inner soft corn tortilla had been brushed with oil and grilled briefly, creating a crisp texture that did not fall apart because it was encased by a second, softer tortilla. Ingenious. 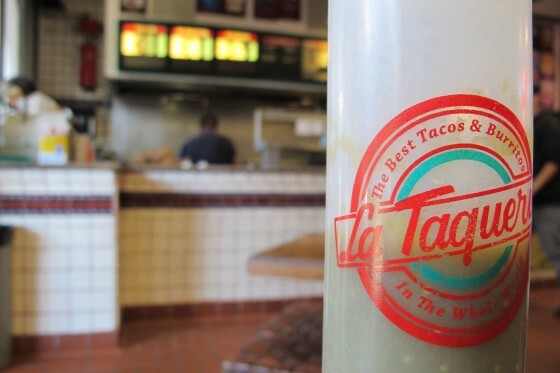 Although the price tag was hefty for a local taqueria ($26 for 4 tacos with “extras” guacamole and cheese, plus a fresh large mango juice), we’ll be back. Perhaps just not that often, in order to keep our wallets fat and waistlines thin. The gregarious cashier was a consummate businessman. That is not to say he was insincere when he gave Mike a fresh white rose to give to “his girlfriend”; but with his constant good-natured ribbing towards his customers, he created an atmosphere that — judging by the familiarity that many customers showed towards him — made people come back, again and again. 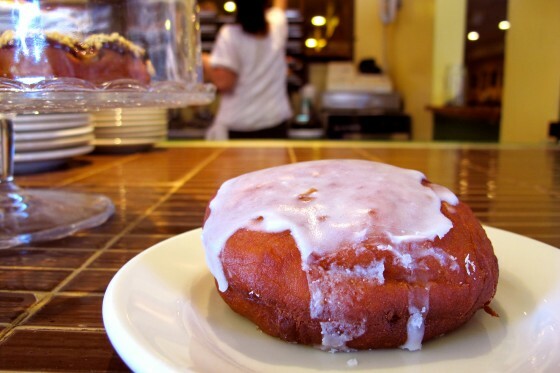 One hipster spot that Max and I love is Dynamo Donuts, further down on 24th Street towards Potrero Hill. 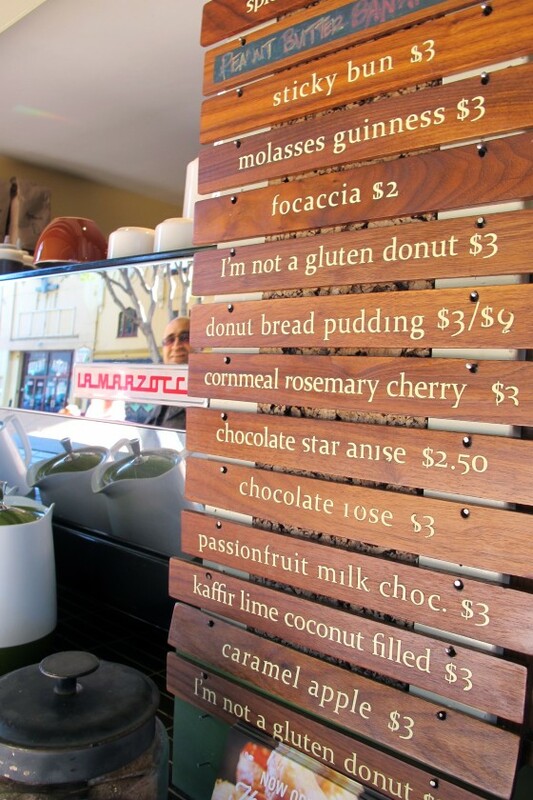 These designer pastries caught my eye, and when I sauntered up with Max to the counter (which opens right onto the street), the barista recommended the Kaffir Lime Coconut Filled as my first venture. So I bought one, although it was the least pretty out of all of them. It was sublime! The texture was melt-in-your-mouth perfect. Both the lime and coconut were subtle. On a very busy corner of Mission and 25th is Mission Pie. 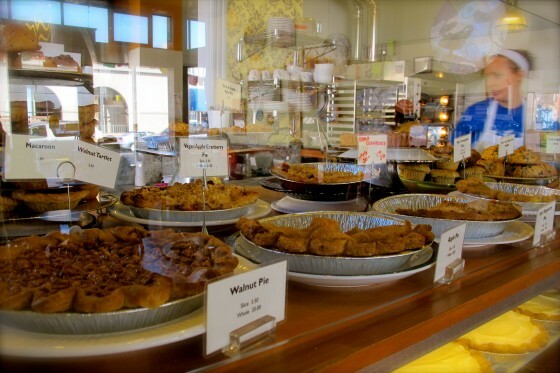 And they do all sorts of locally-sourced seasonal sweet and savory pies, and they do them very well I must say! 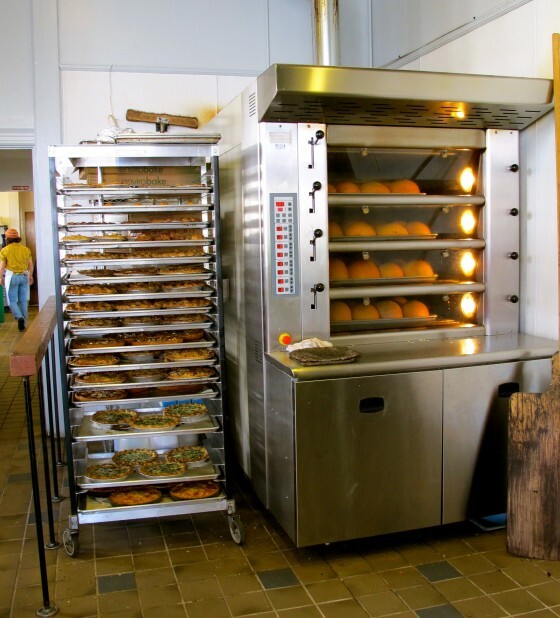 Racks of pies and buns in the oven. I don’t know what’s better than that. 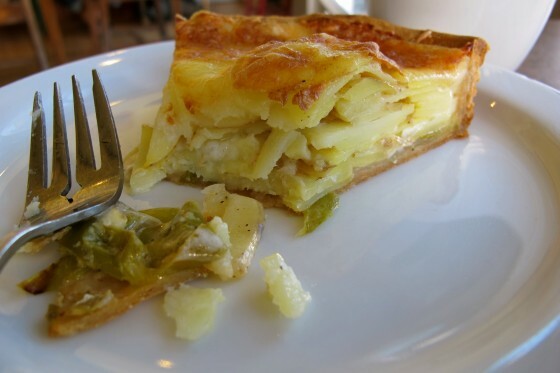 I had a potato and green chili slice for breakfast yesterday, and it was over too soon. Mike and I hired a babysitter (Nicky the property manager, who also babysits for the owners!) and walked a few blocks for a date to Beretta, which serves up thin-crust pizzas, Italian dishes and artisanal cocktails. Beretta is a dangerous place for us, because not only is the food super good and rich, it’s open until 1 am every night — which means it’s easy to go for an aprés-work drink and nosh when the mood strikes! 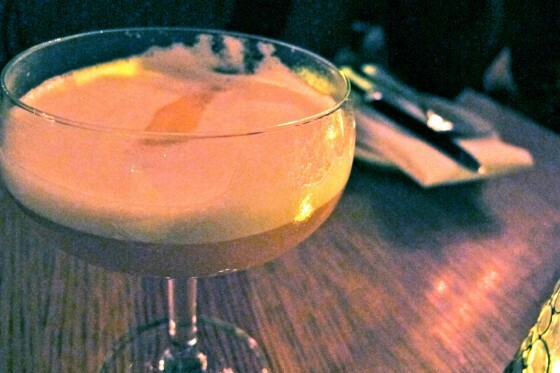 Below is Mike’s “Rattlesnake,” composed of rye, lemon, maple, bitters and egg white. 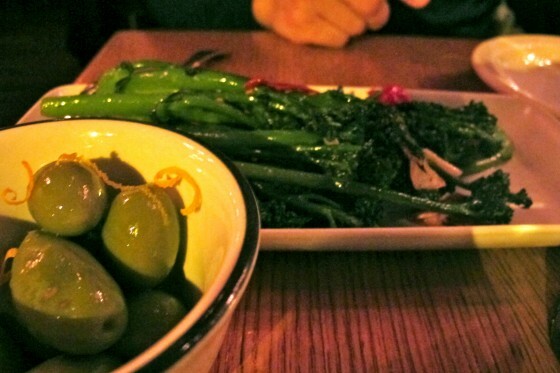 We began noshing on warm marinated Cerignola olives with citrus zest, and broccolini with peperoncino & garlic. 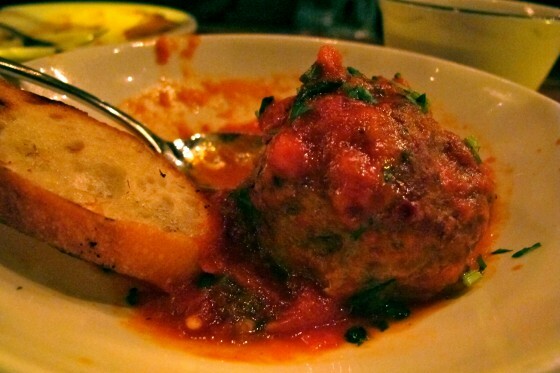 The meatballs with spicy marinara sauce got instant approval by Mike! … and even some sculptural items line the sides of the Alley. 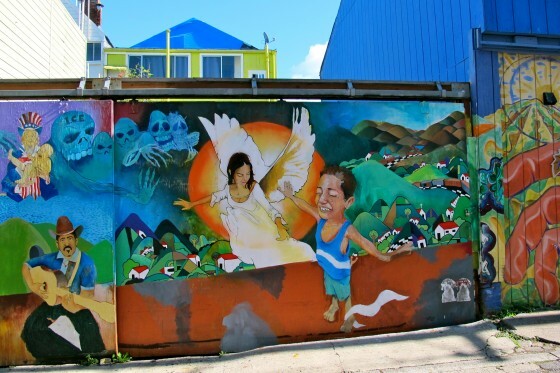 The art is truly ubiquitous and enhances the culture, drama and flavor of the Mission. Also a few blocks down, Garfield Park features an indoor public swimming pool with lessons that we’ll look into for Max. 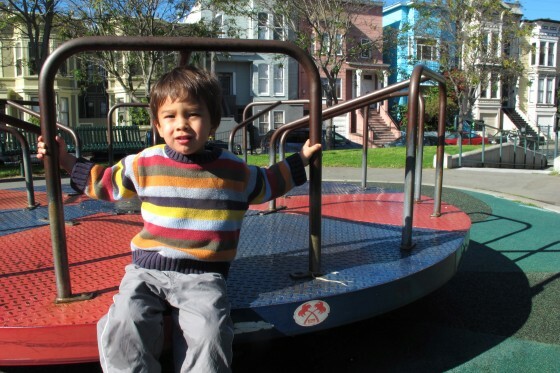 Below, he trounces around on a playground. One important thing to address about the neighborhood is safety. 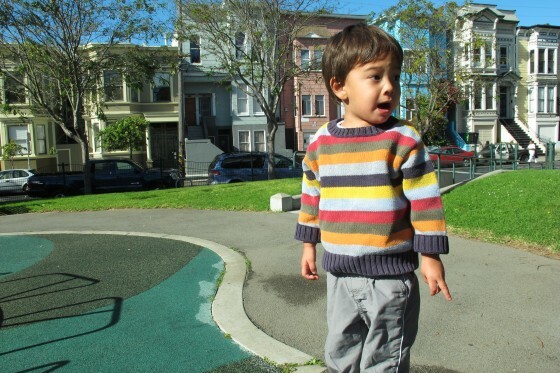 Our address at 25th and Shotwell/Folsom has a Walkscore of 97 (“Walker’s Paradise”), but the area is known for more crime and violence than the rest of the city (besides the Tenderloin). We are back in a city, so that’s to be expected. We weighed the pros of proximity to the BART, the walkability to just about everything, and the low-ish price and niceness of our apartment with cons of the supposed safety issues. While Mike says he feels fine walking home from the 24th Street BART station after work (11 pm usually), it would be different if I were alone. But it goes without saying, male or female: walk with purpose, with confidence. Don’t show signs of vulnerability or being lost. I think the derelicts and homeless in San Francisco are generally more aggressive than their counterparts in New York — I am convinced there is just more overt mental illness in California. 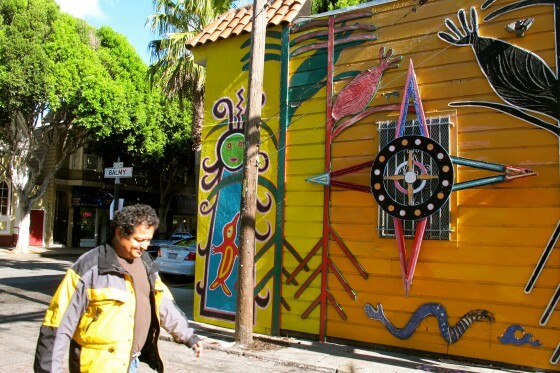 The Mission is the best neighborhood in SF hands down! 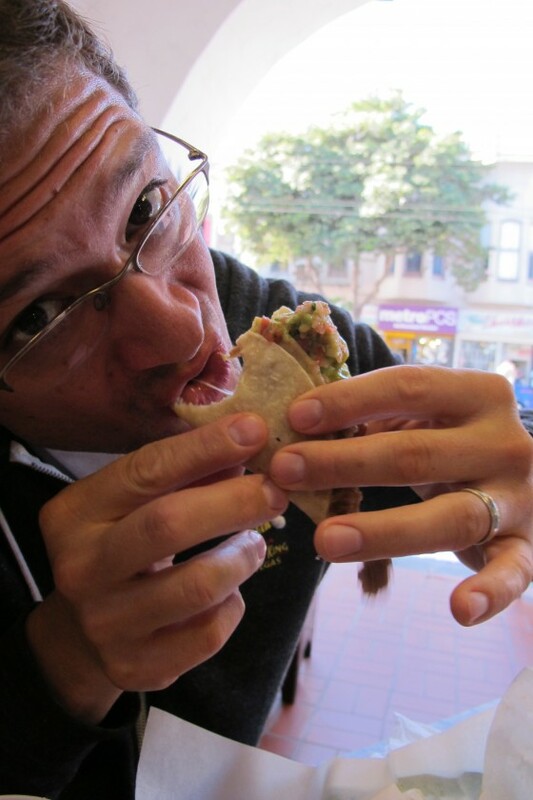 make sure you try delfina pizza, it’s the best in that neighborhood! I’m still laughing at Michael touching greatness. 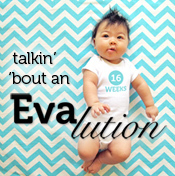 I get such a kick reading your blog. I just read and chuckle to myself. You know with three little ones, I really need every single chuckle I can get! Canyon is still asking for Max. Big hugs! I have always enjoyed your photography but I swear it’s even better now! I usually don’t comment on fashion, I’m not qualified, but the gown you wore at the wedding was perfect for you. You were and are beautiful. You make your father in law proud. Give my love to Mike and Max.